I’ll admit it, drawing on liquid eyeliner is not my strong suit and has seemed to remain the case regardless of how many YouTube videos I watch on how to apply it. Because of this, I rarely wear top eyeliner and if I do I usually just apply it with a wet brush + black eyeshadow. 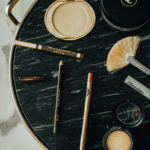 The excess powder dropping on my already set under-eye concealer is a pain to say the least, so you can imagine why I was thrilled to discover this new Clarins 3 Dot Liner! I have said it once and I’ll say it a million more, eyelash extensions are a game changer if you can get on board. I’m a freak about having my nails manicured, but I think if it came down to it I would choose an eyelash fill over a fresh mani! Some people can’t stand eyelash extensions and some don’t need them, but for the people that weren’t #blessed with long lashes (like moi) it’s a game changer. 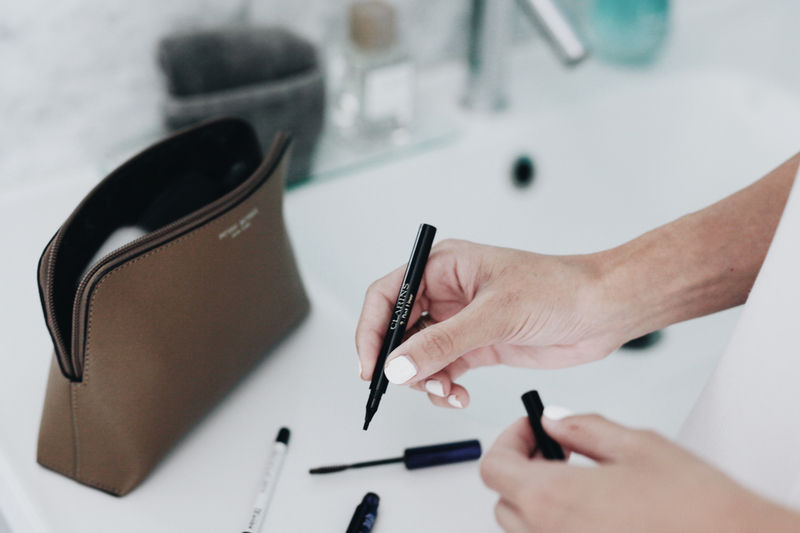 2) The innovative three-prong tip gives you serious control and fills in the spaces between each lash, dot-by-dot, so you can master the perfect line. 3) It leaves you with a voluminous, flawless eye look that works for both day + night. 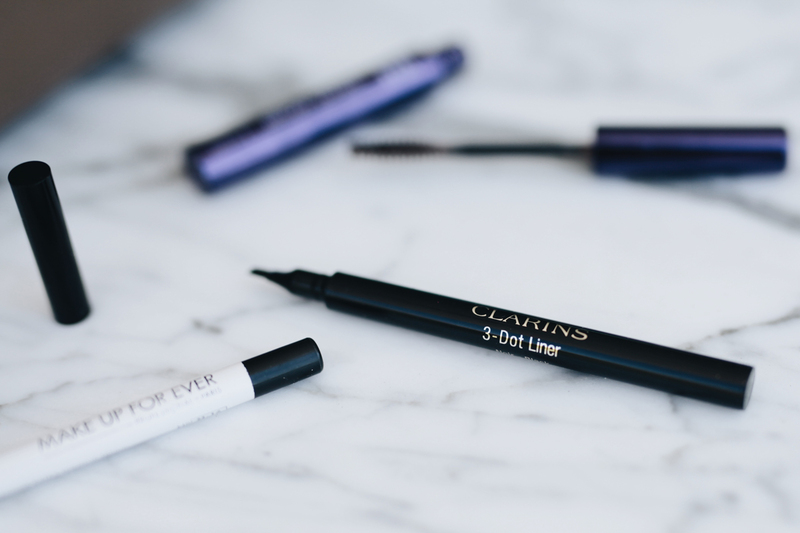 What is your favorite eyeliner to use? 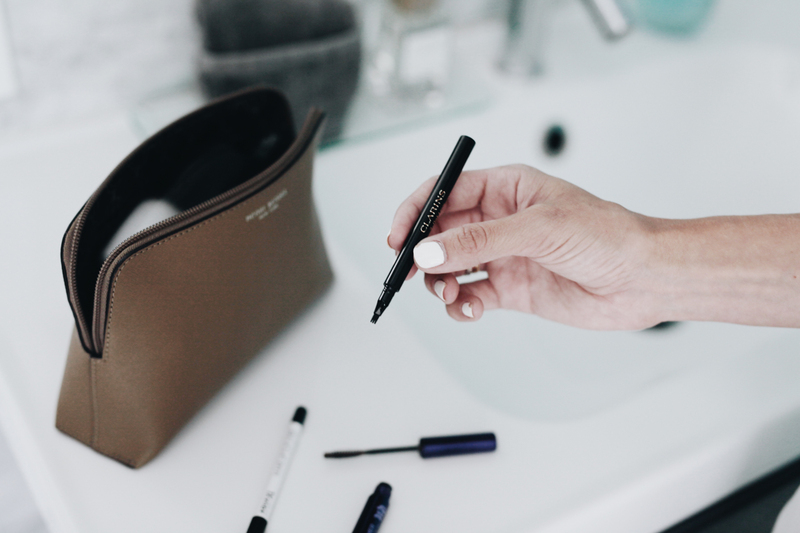 Do you prefer liquid, pencil, or applying shadow with a wet brush? Are you a fan of false eyelashes or eyelash extensions? I would to hear y’alls feedback!! 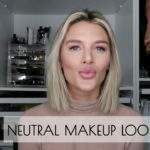 *this post is brought to your in collaboration with Clarins. All thoughts and opinions remain my own. Off the Shoulder + Secret FLASH SALE! I’ll have to try this! I usually use Benefit’s push up eyeliner, because it’s so easy to apply (I’m also not that great at eyeliner lol)!